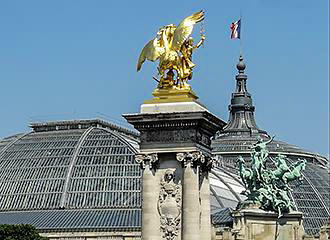 However, there is much more to this city that can please all ages, so it is also ideal for a family holiday in Paris. Or, if you prefer the idea of camping rather than staying in one of the many Paris hotels, then there are lots of French campsites in Ile de France that are within easy reach of the capital. This way, you get the best of both worlds, especially if you have children of varying ages, as you could be at one of the campsites near Paris that has entertainment and facilities like a swimming pool, table tennis etc for added fun and a change of scene. 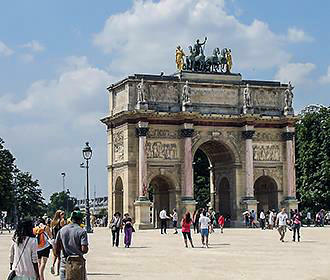 Plus of course there are numerous tourist attractions around Paris like the fabulous chateaux such as Versailles, Chantilly and Thoiry, along with theme parks like Disneyland and Park Asterix plus much more for even more enjoyment. But let us get back to Paris itself and explore just some of the reasons why this city can offer so much and has become an international holiday destination. There are numerous landmarks in Paris and the most obvious one is of course the Eiffel Tower, which has become the icon of this city and is a fabulous sight, especially when it is all lit up with the twinkling lights at night. And if you are on a romantic break you could experience the champagne bar or enjoy a meal at the Jules Verne restaurant. Yet maybe you prefer the idea of discovering the history of the Eiffel Tower or admiring the views, but there are also special events hosted at this famous landmark in Paris like the ice skating rink set up in winter. Other famous landmarks and monuments in Paris include the Arc de Triomphe with its eternal flame and the tomb of the unknown soldier, which is the second largest triumphal arch in existence and honours those who fought for France, along with the much more recent Grande Arche located in the business district that is more like a cube and very modern covered in glass and marble, which also has great views of the city and a exhibition centre in the roof section. 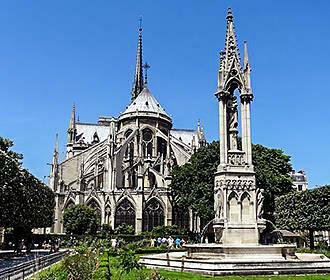 Then you have Notre Dame Cathedral found along the River Seine with its impressive Gothic architecture and stained glass, the gargoyles, the tower with its bells plus the flying buttress supports, which was one of the first buildings in the world to use this type of design. And keeping on the theme of religious buildings you have the magical Sacre Coeur Basilica that is located on the highest point in the city, but there is a funicular (cable car) so you can access this place just in case you cannot walk up to the top. Then there is the Grande Mosquee, which was the first and the largest mosque built in France, and this was constructed in commemoration of those who fought in the battle of Verdun during World War I. Or you could visit the Place de la Concorde, which is the largest square in Paris and also home to the oldest monument in Paris called the Luxor Obelisk, even though it did not originate from Paris, this tourist attraction is over 3000 years old! 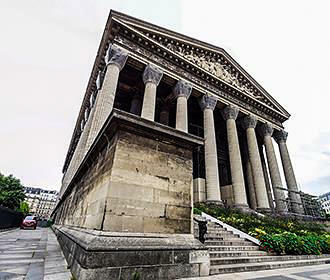 However, there are numerous other monuments and landmarks that you may want to visit while you are on holiday in Paris, such as the Pantheon that has become a famous burial place, Les Invalides with Napoleon’s tomb and the Conciergerie, which was the oldest palace in Paris that became a prison where even Marie-Antoinette was detained prior to her execution. You also have the catacombs that are a famous burial place with subterranean tunnels underneath the city, along with the Pere Lechaise cemetery where numerous famous people like Edith Piaf and Honore Balzac are buried, which are another couple of unusual landmarks in Paris that you could visit. And okay, those last few are a bit on the morbid side for some, so let us take a look at some more light hearted tourist attractions in Paris..
To start with you could take a stroll along the Champs Elysees, which is probably the most famous avenue in the world and it is a beautiful tree lined avenue with numerous shops and cafes to enjoy no matter what time of year you decide to go on holiday in Paris, however, during the festive season the lights and decorations are spectacular and bring the Champs Elysees to life even more. But perhaps you would prefer to take a walk or a cruise along the River Seine where you can get guided tours or even have a romantic dinner on one of the traditional Bateau Mouches. And with a boat trip along the River Seine you also get to see many of the different monuments in Paris from a completely different perspective, especially when they are lit up at night, which is a memory that will stay with you even years after your holiday in the City of Lights. Also if visiting Paris during September or August, you could enjoy the Paris Plages along the banks of the River Seine, which are man made beaches put in place each year which are very popular due to all the extra activities available. Another day you could visit the Bastille Square, known for the storming of the Bastille with its monument to commemorate the Revolution, but here you will also find the new opera house and a part of the Canal Saint Martin. Plus, behind the square there is a pleasure boat marina, which is a great way of spending time relaxing on the water for a short boating holiday away from the city life. Talking of water.. If you are thinking of a family holiday in Paris, then a visit to Aquaboulvard is an absolute must, as it is the largest water park in Europe designed with tropical surroundings, flumes, water slides, wave pools, Jacuzzis and much, much more, yet alone the cinemas, play area, restaurants, sports training facilities etc that everyone will enjoy. 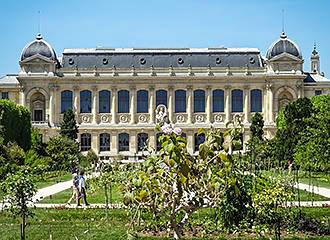 However, another tourist attraction in Paris for the family has got to be the Cite de Sciences, with its planetarium, interactive displays, simulators, a techno area designed for teenagers, the geode with its 1000m screen and much more that makes it suitable for all ages from young children through to adults. And this is in addition to the fact that there is a decommissioned submarine called the Argonaute located opposite that you can explore! 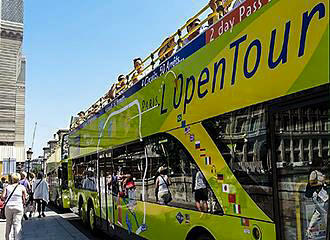 What about taking a trip or two on the tour buses like l’Open Tour, which is another great way of seeing some of the tourist attractions in Paris that you may not get to visit otherwise, and there are different routes that cover different parts of the city. You can also have headphones for commentary on the different places you end up passing by and if you feel you want to visit one like The Louvre museum, then just hop off and catch another bus later. And thinking about the museums in Paris, we cannot forget about these as no holiday in Paris would be complete without a visit to at least one.. Most cities have their fair share of museums, but the quality and quantity of museums in Paris is not just astonishing, but so varied, which means that there will be at least one that will suit your own tastes and interests. 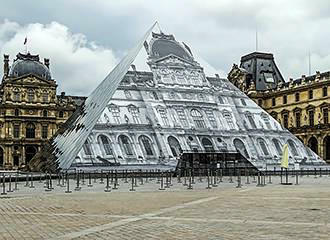 We quickly mentioned The Louvre Museum earlier and this has got to be the most well known of all museums in Paris, if not in the world, and it is home to the Mona Lisa painting along with numerous others by artists like Raphael, Picasso, etc. Then you have The Musee d’Orsay which picks up where the The Louvre stops, but if you are more into modern art and futuristic sculptures, a visit to the Pompidou Centre is going to be more to your liking. There are also lots of houses and mansions that have been turned into museums such as the Victor Hugo museum, the Maison de Balzac or Musee Cernuschi with its Chinese and Japanese art. 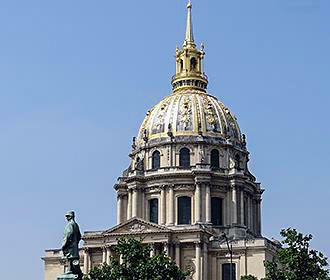 However, if you like the idea of finding out about the history of Paris, then a visit to the Carnavalet museum is a must, but there is also a museum dedicated to the architecture of Paris and a very unusual one called the Musee des Egouts all about the Paris sewer system! And keeping on the theme of unusual, you have a doll museum, a perfume museum from the famous Fragonard perfumeries and a counterfeit museum, along with many, many others such as the Musee du Vin which is dedicated to French wines, that have become a major part of the French lifestyle. But we cannot just look at places to visit in Paris. After all, we all want some fun, entertainment or relaxation whilst we are on holiday, so.. 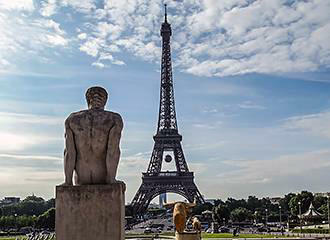 Being at the forefront in the world for variety and quality of the entertainment on offer, no matter what time of year you decide to visit this vibrant city, there will be some form of Paris entertainment to please anyone. You could experience the ballet or an opera at the Opera Garnier or how about different cabaret shows at venues like The Lido, the famous Moulin Rouge or maybe the Paradis Latin, which is one of the oldest cabarets in the world. Yet for something completely different you could enjoy the Lady of Canton Chinese Junk, which has shows for children through to evening meals, DJ nights and different themed music nights like jazz, blues, etc. The Batofar is another music venue permanently moored along the River Seine and you will often find internationally recognised DJs playing on this unusual lightship. Other options could be eating a meal while a circus cabaret is going on around you at the Zebra de Belleville, enjoying magic shows whilst sipping a cocktail at the Double Fond, or perhaps the idea of Salsa music at the Brasil Tropical along with entertainment and Brazilian cuisine is more to your liking. There are also open air jazz concerts and music festivals held every year in Paris, plus you have the Stade de France just outside of Paris in the St Denis area that plays host to numerous singers and musicians with all different types of music to suite all tastes. And of course, just like any city throughout the world, there are nightclubs and so many different types of venues for the evening entertainment in Paris, that we could never mention them all! And it really does depend upon what you class as entertainment, as you could also try your luck in a casino or go to one of the horse racing tracks like Longchamp and if you catch it right, you could spend a Sunday at the races with all the family. Or why not arrange to be on holiday in Paris when there is one of the festivals or special events being held like the finish of the Tour de France at the Champs Elysees, the Bastille Day celebrations, or when Paris has its own beach and leisure activities like a floating swimming pool on the River Seine. There are lots of different cafes in Paris along with tea rooms that you can stop at for a break whilst you are out and about sightseeing, and a couple of the famous ones are Laduree and Angelina’s. But to round off a perfect day, you will no doubt want to enjoy some French cuisine and there are so many different restaurants in Paris to choose from that cater for all budgets from the luxurious Michelin starred restaurants like the famous Tour d’Argent or the Grand Vefour through to cafes like the Hard Rock Cafe. Some restaurants have spectacular settings such as the Jules Verne in the Eiffel Tower or the Train Bleu above the Gare de Lyon railway station. But perhaps you prefer the idea of the unusual such as the Au Pied de Cochon that has never closed in over 40 years, Cristina’s Tapas in a vaulted basement, or the Ice Kube bar and restaurant made out of ice. 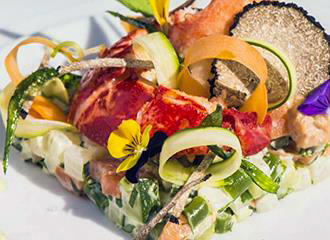 Yet there are also numerous restaurants providing international cuisine to suit all palettes like The Frog and Rosbif for English food, Brazilian cuisine at the Barraceo, a Danish restaurant called Flora Danica, Italian cuisine at the Mor Venice Bar and many hundreds more restaurants in Paris that you could choose from, so you will definitely not go hungry! 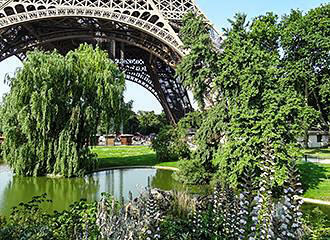 All of these exciting things to experience are just scratching the surface of what you can do and the places you can visit whilst you are on holiday in Paris, whether it be with children, or for a romantic weekend break and we are now looking forward to booking another family holiday in Paris ourselves! But this time we may decide to go on a camping holiday near Paris so we can visit the places like chateau Versailles and Chantilly, along with taking day trips to Paris. Often called the city of lights and well known as a city of romance, it is no wonder that so many people take a holiday in Paris, whether it be for its history or culture, plus it is at the forefront of art, fashion and entertainment, which has made Paris the most popular destination in the whole of France, that attracts well over 30 million tourists and visitors every year from all over the world. And with the amount of cheap flights to Paris in Ile de France and the convenience of ferry crossings from the UK, this incredible city is also a very popular destination for couples who want a romantic break in Paris or just a weekend away. So, if you want to celebrate a special occasion such as an engagement or birthday or just enjoy an unforgettable romantic break, then Paris is the place for you, but if you do not have the time to organise everything, then do not worry as you can find companies that offer tailored packages for those special moments, even right through to planning your whole wedding in Paris.